← Pharrell Collaborations : Fashion Take Over or End of an Era ? Decadent furs paired with preppy high waisted trousers combined forces on Le Bourse de Commerce runway, creating an unusual energy for the Paul Smith Fall 2015 show. Although Smith remained faithful to the brands’ aesthetic with high quality tailoring and eclectic pieces, his new collection had a particular flare that differentiated it from past seasons. Smith, who is known for his big shapes went all out with them this season. 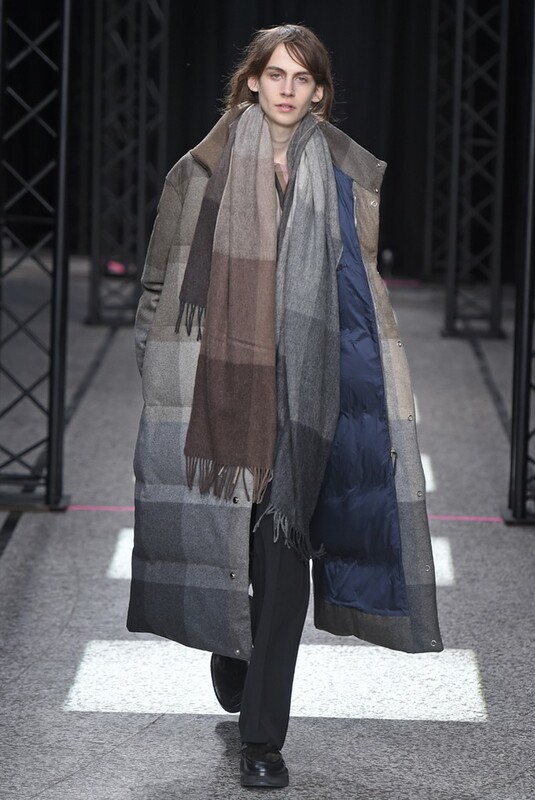 The coats were long and over sized, mostly in camel and grey, both prominent trends this season. More unexpectedly were the enormous mink furs. 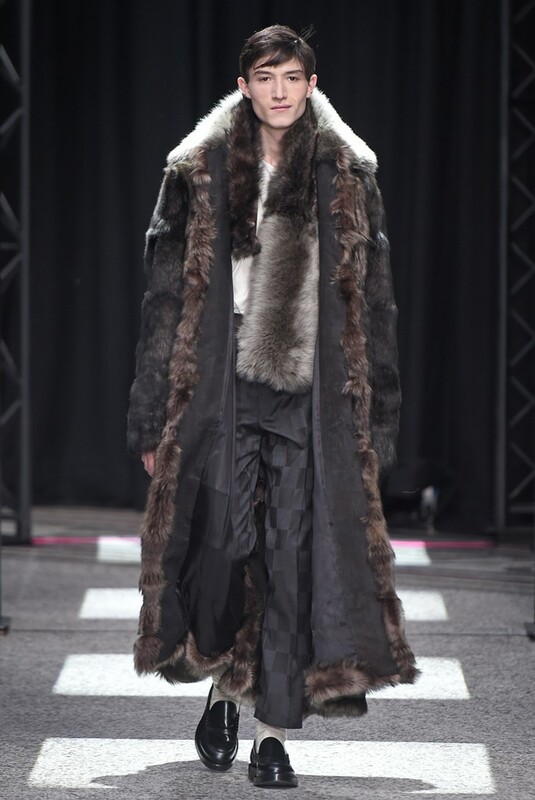 The mink paired with a high waisted trouser gave an androgynous feel. “This was definitely a move forward from last season,” says Lara Cinque, an attendee of the show and fashion student at the Fashion Institute in New York. “Between the indie rock music, and the edgy looks, it was definitely a more memorable and fun show,” she continues. 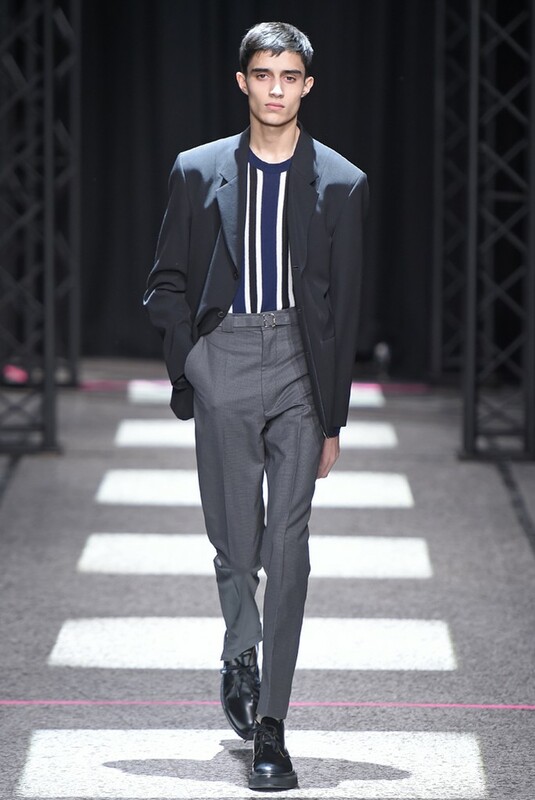 In contrast with his previous collections, which appealed to a more preppy buyer, this season Smith brought back his edge, only suitable enough for a rock star. The striped silk scarves and boxy jackets gave a retro vibe. Geometric patterns were also a theme, referencing the work of the iconic Bauhaus couple, Josef and Anni Albers. The couple famously created paintings that seemed almost cubistic with colors in the persimmon family, These paintings are a seamless match for the Paul Smith aesthetic. Overall Paul Smith created a collection that remained true to what its’ buyer wants while sprinkling a touch of edge and creativity.